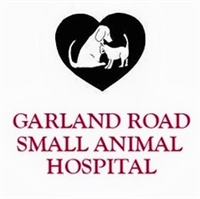 The Garland Road Animal Hospital was established in 1998. It was designed to be an efficient, modern, full-service veterinary facility. Our goal is to provide full medical, surgical and preventive health care for your pet in a caring and compassionate manner. We realize your pet is an important part of your family, and when your pet is a patient here, he or she becomes an important part of our family. Services The goal and policy of each member of the veterinary health care team at Garland Road Veterinary Associates, Inc. is to provide high quality medical care to all of our patients in the most professional manner possible by treating each client and patient as an individual and providing for his or her needs with the same caring and compassion we would show our own pets. At Garland road Small Animal Hospital, you and your pet are guaranteed to receive top of the line service and care. I would go to them over any other veterinarian. I've never doubted their abilities. Their staff was so warm and welcoming, and made me and my pet feel right at home.